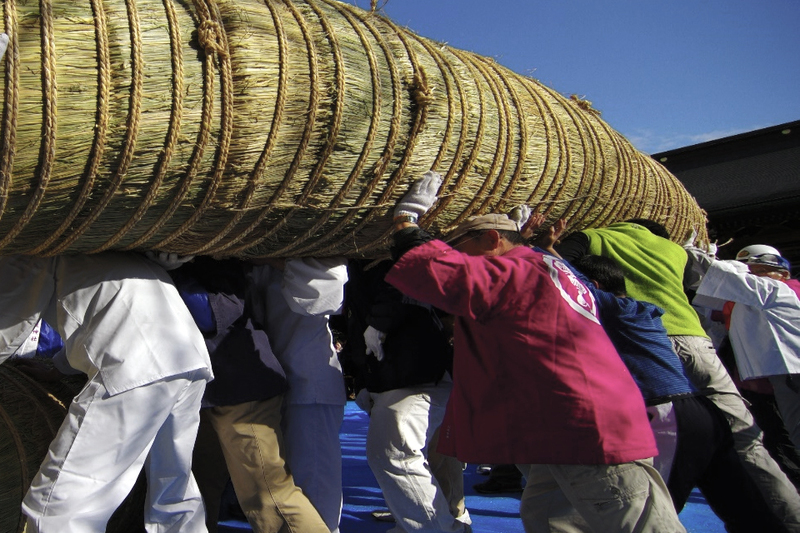 This Sacred Big Rope is 11meters long, 2.6 meters across, and 3 tons in weight. It’s made from special hay made in an old paddy, and almost 1500 people will help with their heart. The ceremony will start from 10 AM, and after that, we will twist the rope together at the front Shrine. The replacement will complete by 3 PM, and we will hold the dedication ceremony.